In 1986 the AIO system was introduced, defining the position of AIOs and OIOs. Because the AIOs and OIOs wanted to be involved in the further developments of this system, the LAIOO (Landelijk AIO (en OIO) Overleg, National AIO and OIO council) was founded in 1987. The LAIOO existed of a daily board, representatives of local organizations, representatives of Ondernemingsraad Projectmedewerkers NWO (NWO-ORP), and representatives of Landelijk Overleg beursPromovendi (LObP). From the early beginning, a stepwise organization structure was chosen: AIOs and OIOs could become a member of the local organizations, but not from the LAIOO. But the local organizations could. Since the introduction of the UFO (Universitaire Functie Ordening, Ordering of University Functions) in 2003, the terms “AIO” and “OIO” were replaced by the term “PhD candidate” (promovendus). Furthermore, the AIO system was replaced by the PhD-candidates system (promovendistelsel). PhD candidates were no longer employed by NOW, but by the universities. In addition to this, the medical faculties were transformed in University Medical Centers. These academic hospitals could also act as employers for PhD candidates. Thus, from then on PhD candidates could be employed by universities and by University Medical Centers. 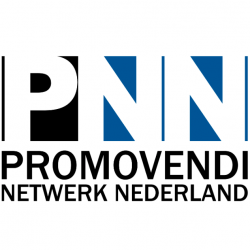 Because of these reorganizations, the LAIOO changed her name to the Promovendi Netwerk Nederland (PNN) in 2003. Also now, the PNN gives her opinion on reorganizations of the PhD-candidates system. Nowadays, local PhD-candidates-representatives organizations exist on every university. Therefore, the PNN now really is the Dutch representative organization.